Wrapture Fragrant Balm is the newest addition to the Eucalan family of products. It is an all-in-one product which can be used as a fragrant perfume as well as to moisturise dry skin. The balm is a portable, compact handbag essential that is all natural, alchohol-free, and vegan; it contains no preservatives, colour or petroleum, and it comes in a durable tin that won't leak. "I am passionate about using natural products whenever possible for my home, my family and myself," says designer Kristin Omdahl. "Essential oils have been my perfume of choice for years, for the aromatherapy benefits as well as my personal choice to avoid synthetic chemical fragrance. But oils are difficult to carry in your purse, and especially difficult for travel. 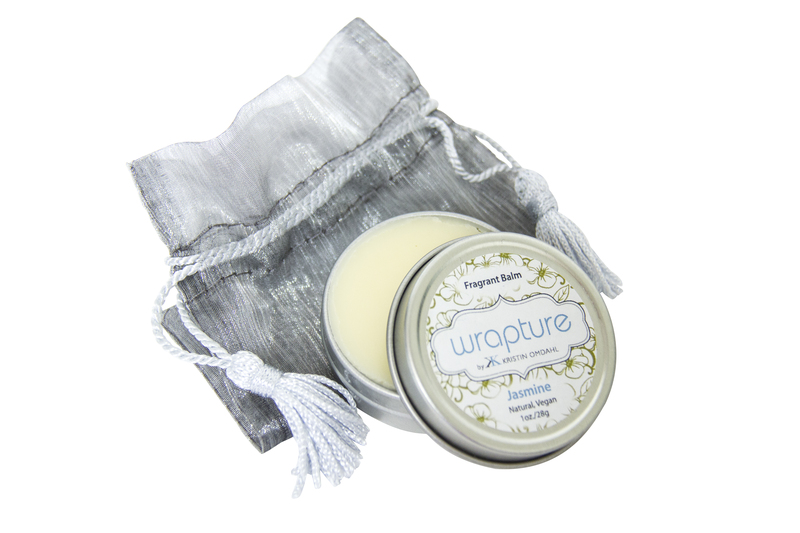 I love carrying my Wrapture balm in my purse. It's great for rough skin, cuticles, dry hair, but my favorite is to dab it on my pulse points & behind my ears for a pick-me-up subtle fragrance. It makes me smile." Wrapture Fragrant Balm will be appearing in stores this fall; click here to find a retailer near you! Today is a special day for knitters, crocheters, and other crafty folk: the Craft Yarn Council has declared October 11 to be the day in which we declare our love for yarn (some more!). Donate a finished project to charity, or start a new one for a charitable cause. Wear your favourite hand-made item with pride. Make your community prettier with a clever yarn bomb. Click here for more ideas from the Craft Yarn Council! Another way you can show your love for yarn is by caring for your hand-made items properly. Freshen up your hand-knit sweaters, shawls, hats and other accessories as you bring them out of storage for the season with a nice spa treatment in your favourite Eucalan scent, or check out our YouTube channel for more tips and tricks from Eucalan!